Where was I when this pic was taken? I’m going to ignore the fact that this is obvious click bait by submitting my “guess” for Mostar, Bosnia, in front of the Stari Most. In fact, I think I have a photo at the exact same spot. Mostar.. duh. doesn’t everyone have a photo right there? Dang. Too slow on this one. Mostar and Stari Most was my educated “guess”. Yes, Mostar (Bosnia-Herzegovina) is correct, specifically the Stari Most bridge as seen from elsewhere in the charming Old Town. Mostar is probably “the new Prague” in terms of its fixture on the Eastern Europe backpacking scene, but the country itself still carries a “Huh? Where the hell is that? Isn’t there a war there?” reputation in wider circles. 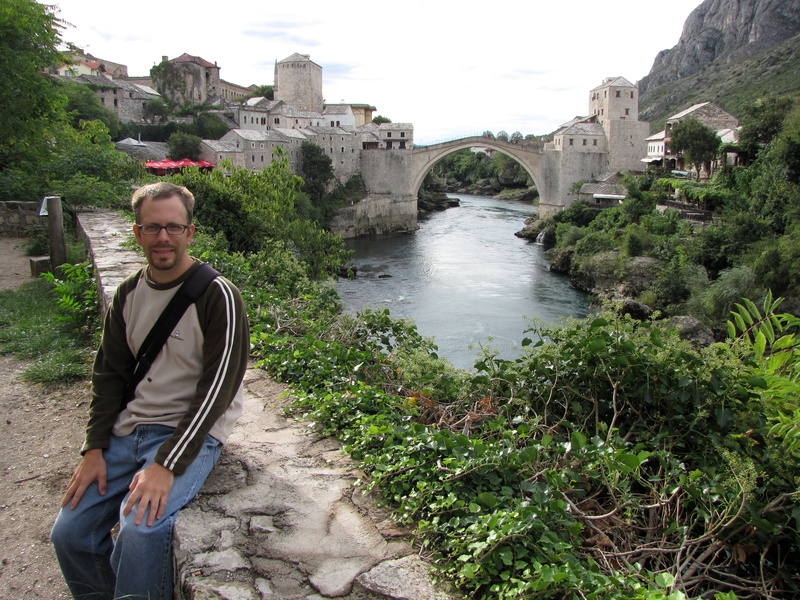 Too bad – Mostar and greater Bosnia as a whole merits a visit! “The New Prague” – LOL! The cliché that refuses to die, eh? And I agree, Bosnia is definitely worth a visit. Sarajevo is one of the most interesting cities I’ve ever been to in my life. Haha, I love that cliché! Having said that, it should probably be updated to, say, “The New Zagreb,” as Prague’s tourist hordes are now indistinguishable from those of London, Paris, or Rome – and have been for some time.